York University and the Graduate Program in Interdisciplinary Studies offers competitive funding to excellent full-time students accepted into our graduate programs. Sources for this funding include awards, scholarships, bursaries, teaching assistantships, research assistantships, graduate assistantships (as is normally the case in IS), and York Graduate Scholarships for our top-ranked students. We also encourage and support students in their applications for prestigious external provincial and national awards. Interdisciplinary Studies specifically appoints an executive member to serve as a point-person for IS students putting together their grant applications. That person is Dr. Tom Cohen. Together with additional York awards and funding, external scholarships are a measure of academic excellence, and they allow students the time to focus on their research and make progress in their studies. Academic fees are charged on either a per-course or per-program basis, depending on the Faculty or program in which you enroll, and in most cases include tuition costs as well as supplementary fees. Additional fees may include health plans, the YU-card (where applicable) and associated course and program fees. Please note that course and program fees are subject to approval by York’s Board of Governors in accordance with the fees guidelines set by the Ministry of Training, Colleges and Universities and are subject to change. 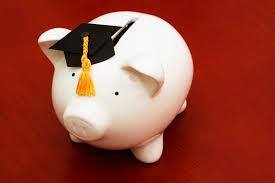 Look here to learn more specifically about Graduate Program Fees. At York, all qualified graduate students receive a guaranteed funding package for the duration of their program with their offer of admission. For 2015-2016 FT eligible Interdisciplinary Studies Admits received $9,000 for each of their two Full-Time years of Study. In 2016-2017 Funding will be in the form of a FELLOWSHIP. Furthermore, for successful applicants with an entrance GPA of A or A+, there may be the possibility of receiving a York Graduate Scholarship of $6,000 or $10,000. Note: Funding and training opportunities come in the form of teaching assistantships, research assistantships, graduate assistantships, Fellowships and York Graduate Scholarships. For more information, please visit Current Students – Funding and Awards. You are also encouraged to apply for external awards, including support from the Government of Canada, national foundations and the Province of Ontario. York graduate students have a high success rate in attracting these scholarships: for example, 10 Vanier Canada Graduate Scholarships went to York grad students in the past two years, each worth $50,000 and renewable for up to three years. For more information, please visit Current Students – Funding and Awards. For more information, please visit Current Students – Funding and Awards. Also, please visit canlearn.ca, the Canadian government’s website on financial aid and other scholarships.